Effective communication is one of the keys to success in both the professional and personal aspects of our lives. Communication is an art, which when mastered, can take you to great heights. You can easily get your message across, command a room, and even affect change in people if you have excellent communication skills. However, there are those who find it difficult to articulate themselves, especially in front of an audience, be it small or large. Princess Diana of Wales, for instance, was an introvert who felt socially awkward whenever she had to speak in front of an audience, but she worked hard to develop assertive communication skills as shown in the recently unveiled documentary, “Diana in Her Own Words.” Ultimately, she affected positive change and steered people towards the cause she was fighting for. Then again, it takes more than just being an articulate and confident speaker to be considered a great communicator. In a 2015 study, three main communication skills are identified namely asking, listening, and telling. In the same research, 88% of respondents claim that leaders who observe all three of these communication skills are exceptional. If you think you need communication assertiveness training, then you can start practicing these simple hacks to become a great communicator. Communication is a two-way street. Asking clarifying questions will help you understand what’s being said to you. At the same time, you’re letting the other person see that you’re interested. Close-ended questions are answerable by “yes” or “no.” It’s very simple and direct, but it doesn’t get you anywhere. On the other hand, open-ended questions let you delve deeper. You can get more information from the other person when you ask open-ended questions, as you’re letting them expound and discuss the topic more comprehensively. After you ask questions, acknowledge their responses by either rephrasing what’s been said or simply saying that you understand. Not only it clarifies if you understood the message correctly, but it also prevents miscommunication and wrong interpretation of information. Some people find it difficult or awkward to look other people in the eye, but maintaining eye contact is critical in communication. Wandering eyes can indicate restlessness, impatience, or disinterest, and is counterproductive. However, you don’t have to look them directly and intently in the eyes, as that can get creepy. When you’re conversing with another person or a group, it’s important to let them know that you’re listening and paying attention to what they are saying. Look at them and do your best to maintain eye contact. As they say, the eyes are the windows to the soul, and you can determine a person’s sincerity through their eyes. You’ve probably encountered one of your coworkers slouch in their chair during a team meeting. What does it tell you? They’re bored, disinterested, or maybe even sleepy. Always keep a straight and alert posture. It will help you exude a commanding presence. Remember that body language is critical to effective communication. Even when you’re not saying a word, you’re constantly communicating. A smile goes a long way. Whether you’re in a two-way conversation, a presentation, a team meeting, or speaking to a large audience, a smile will convey warmth and openness. Encourage people to trust you. Smile with your eyes! 7. Mirror the other person’s behavior and body language. You’ve most likely seen it or experienced it firsthand before. Both parties are completely engaged in a conversation. They exude the same enthusiasm that is demonstrated in their verbal speech, posture, stance, gestures, or facial expressions. 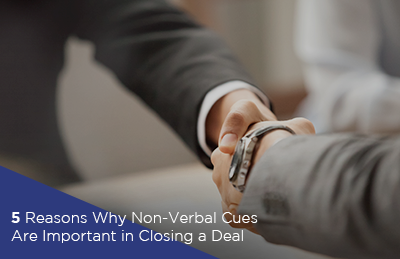 When nonverbal behavior and language are mimicked, it creates the sense that you’re on the same wavelength, thereby conveying feelings of trust and acceptance. For some people and cultures, there are certain rules when it comes to personal space. Be conscious about this and observe the physical space between you and the person you are speaking to. You don’t want to invade their personal space and make them feel uncomfortable. When you’re listening to someone, nodding shows them that you’re listening. Couple that with a smile, and you’re telling them that you like what you’re hearing. This is also a form of acknowledgment that will encourage the speaker to go on with what they’re saying. On the other hand, if you nod too quickly, it may convey impatience on your part. Don’t be too eager to give them a piece of your mind. Listen and wait for your turn. Slightly tilting your head to one side while listening shows that you’re intently paying attention. A head tilt can also soften information being shared. Take note of how people usually tilt their heads when they’re delivering bad news. The head tilt conveys empathy as well. 11. Let your arms hang at your sides. Some people are unsure about what to do with their hands when they speak, especially in front of a group. Others would ssimply resort to crossing their arms or putting their hands in their pockets. However, crossed arms may convey disagreement or defensiveness, as well as closing yourself to ideas and suggestions. By letting your arms hang at your sides, you’re allowing your body to make natural gestures as you speak. Hand gestures are important in relaying a message. Don’t be afraid. Let your arms be free. 12. Turn your body towards your audience. Have you ever seen a stage play where the actors are all faced opposite the audience? I bet not. No good speaker will ever turn their backs to their audience. The direction of your body says a lot about you and your communication style. When your body is turned towards your audience, you’re exuding warmth and openness. More importantly, it’s telling them “I’m all yours,” and you’re paying attention. 13. Listen and understand what they’re saying. These communication hacks are not designed to help you pretend that you’re paying attention. Listen to what the other person is saying and understand the message. When you’re really listening, proper body language follows suit. 14. Learn from world leaders. Do your research. Who are the world leaders that you admire and what makes them great communicators? It can be a politician, a Hollywood celebrity, or a local influencer. Take their example and emulate their communication styles. 15. Say what you mean, mean what you say. Be sincere. Say what you mean and mean what you say. Be real with your feelings. If you truly believe in what you’re saying, then you will sound and look confident. Authenticity and honesty are essential in effective communication. You can’t just say or write anything you want as it pops into your head. Present your ideas in a seamless and organized manner. This will help you better convey your message. It’s challenging to listen to someone when you literally can’t hear what they’re saying. 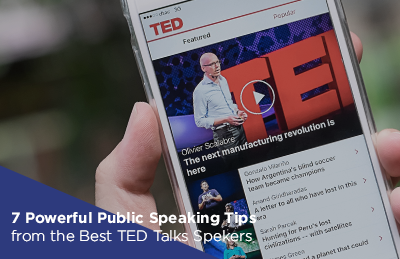 Modulate your voice when you’re speaking. Make yourself heard. 18. Get rid of your “uhms” and “ahs”. Fillers like “uhm,” “ah,” or “hmm” can be distracting to your listeners. What’s worse is that it shows your audience that you’re not confident about what you’re saying. Practice thinking and speaking with these unnecessary sentence fillers. 19. Practice in front of a mirror. If you’re about to make a speech or present your ideas in front of a group, try practicing in front of the mirror. You can see for yourself what you’re doing wrong or right. 20. Record yourself on video. Recording yourself on video will help you further assess your speaking and communication skills. It will be like you’re watching someone else, and you can see how others see you. Take note of your facial expressions, body language, tone, and diction. Are you impressed? Did you impress you? 21. Practice in front of a small audience. After practicing in front of a mirror, try taking it one step further by asking family members or a few friends to watch and listen to your speech. You can then ask for their opinion and critique your technique. This will help you become more comfortable in speaking in front of a small group. 22. Go to a public place and try to make friends with a stranger. You’ve done your research, and you’ve practiced your listening, asking, and speaking skills. It’s time to test-run it in the real world. Try to initiate small talk and get acquainted with a stranger at a public place, whether it’s the supermarket, the dog park, or the train station. 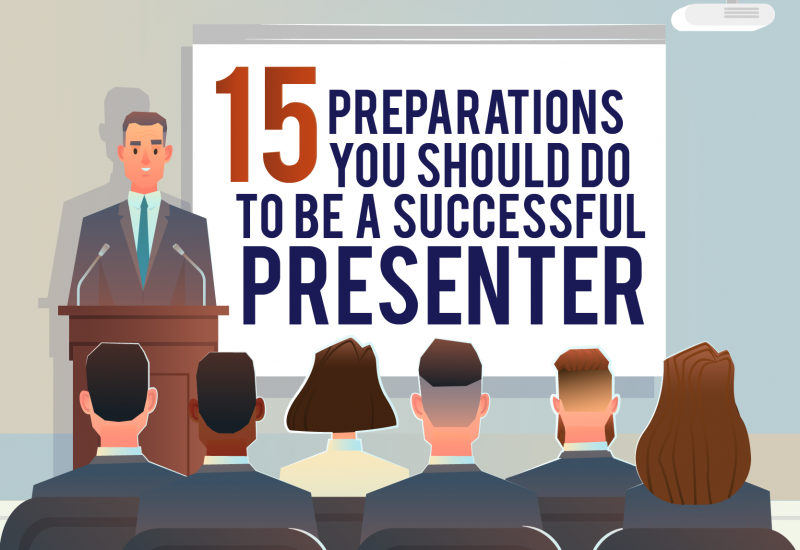 This will help you build confidence and harness your newfound skills. How well did you do, when you tried making small talk with a stranger? Were you able to convey your message? Did they listen to you and reciprocate the conversation? How do you feel about yourself? Always assessing your communication skills will help you develop into an excellent communicator. It takes time, but with perseverance and patience, you’ll get there. Always remember that at the core of these tips are the three fundamental skills you need to practice: ask, listen, and tell. Effective communication is essential to one’s success. Develop your communication skills by attending seminars and communication assertiveness training.